To celebrate the holidays, Disney Junior is giving away toys – one for you and one for a friend – every day! Winners will be selected until December 25. 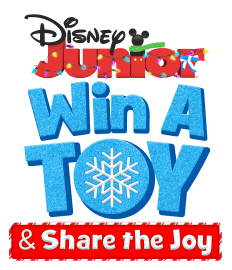 Enter once a day for your chance to win a Disney Junior toy and share the joy!